Bracketed text indicates small changes or corrections made to the original translation. —Eds. 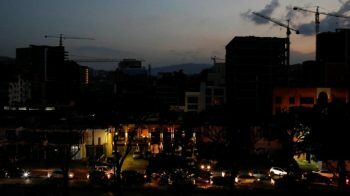 Editors Note (Misión Verdad): Between March 7th and 10th of 2019, Venezuela experienced the longest interruption of its electric system in the country’s history, as a result of a sabotage directed against the central computer of the main hydroelectric power station (El Guri, Bolívar State). The cruelty of the attack and its impact on the social life of the nation was similar to the economic, financial and diplomatic [aggression], suffered by the country at the hands of the United States and its allies, for several years. Since the beginning of this new ‘regime change’ attempt, starting with the self-proclamation of Juan Guaidó on January 23 of this year, it could be said that electric sabotage has been the most violent and aggressive operation, since it significantly disrupted the normal functioning [of] Venezuelan society as a whole and showed that the war against the country does not discriminate between ideological affiliations. [This is] why the editorial team of ‘Misión Verdad’ felt the need to deliver a reconstruction of those moments of darkness, in which the contingency of the country, the bombardment of fake news and ‘humanitarian propaganda’, the interruption and recovery of the services, the calls for violence and the organization of the people and their families, made every hour in the middle of the blackout, a new struggle for peace and coexistence. Where once again, the Chavismo movement came out victorious against Washington’s pretensions for a civil war. This escalation of destabilization attempts against Venezuela on this new phase, since January of this year, has tried to push the country towards a war environment. Amid threats of U.S. military intervention, on January 23 of this year, the United States and its allies recognized Juan Guaidó as “President of the Bolivarian Republic of Venezuela”, completely ignoring the Venezuelan Constitution and the more than 6 million Venezuelans who voted for Nicolas Maduro in the elections of May 20, 2018. During the last two months, all mechanisms of economic suffocation against the country have been deepened. From bank accounts to assets of the Republic, have been frozen by the U.S. government. Standing out among these cases, the blocking of $1.2 billion in gold owned by Venezuela, located in the Bank of England, and the confiscation of CITGO, a subsidiary of PDVSA on U.S. soil. [The United States has seized approximately $30 billion from Venezuela,] using the excuse of “protecting those resources,” to funnel them to the artificial “government” of Juan Guaidó. Diplomatic and communicational harassment mechanisms have also been accelerated, with the intention of isolating the country internationally. Just like the tragic Libya and Syria scenarios, both countries intervened [in] by the United States, the [use of] diplomacy and propaganda as weapons of war [can produce] explosive and dangerous [situations]. But the [tactic in Venezuela] has suffered multiple failures. The first one happened on February 23rd, the day when the “humanitarian aid” farce was used to generate a fracture inside the Bolivarian National Armed Forces (FANB) and consequently remove Nicolás Maduro from power. The “humanitarian” paraphernalia portrayed with the ‘Aid Venezuela’ concert in Cúcuta, Colombia, and the supposed peaceful nature of the “well-intentioned aid”, were exposed within a few hours, with the noticeable violence on both international bridges and the failed attempt to forcefully bring violent groups into Venezuela, which intended to ambush the country by its border with Colombia. This irregular war, these mercenary behavior, acquired a public visible and undeniable posture. Nevertheless, the country preserved a nationwide state of calmness and the military institution remained cohesive and composed, wearing down and defeating the road map to destabilization, the promotion of chaos and the propagation of an internal conflict. From this point on, the weariness of coup agenda against Venezuela became much more noticeable. The American financial outlet Bloomberg, has indicated that while being in Colombia, Juan Guaidó planned a European tour, but U.S. officials ordered him to return to Venezuela to ‘take advantage of the momentum” and, in that way, “to seek his imprisonment”. Generating new arguments to force a response from the United States. They knew that they were running against time and needed to stimulate military intervention. At the same time, Bloomberg pointed out that the exhaustion of the coup was visible, and the importance of Guaidó was being reduced in Venezuela and abroad. The country did not succumb to violence. While the political integrity of the Venezuelan institutions was still aligned with President Maduro, the possibility of the so-called “end of the usurpation” has been increasingly less probable. 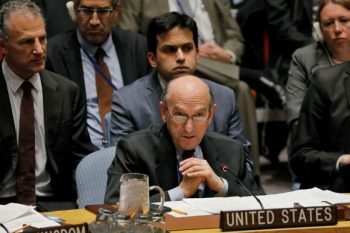 Meanwhile in the United Nations Security Council, Venezuela’s diplomatic body delivered meaningful defeats to the U.S. agenda, thanks to the [veto power of] both the Russian and Chinese administrations against a U.S.-promoted draft resolution that sought to deepen interference in the country. These [failures forced] a race against time, [as the U.S. grappled with its] inability to carry out a ‘lightning’ coup d’état through pressure and destabilization. With actions of war which not only seek the overthrowing of Maduro from power, but also to trigger the fracture of the Venezuelan society to justify an intervention. This is why in Venezuela there has been an escalation of elements [irregular warfare, which is intended to stoke an] open war conflict. [This is the context in which the March 7, 2019] attack on the national electric grid took place. 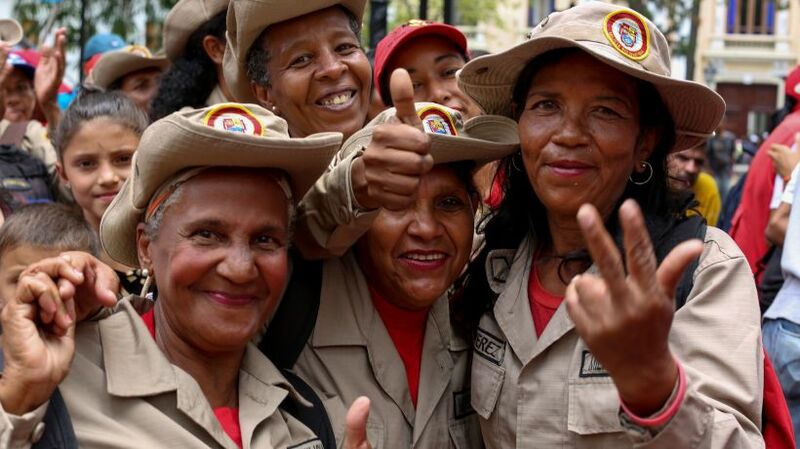 The intensification of the war against Venezuela would involve the variable of large-scale sabotage to produce a greater erosion in the security components of the nation, which would be extended to the population through the degradation of their living conditions. These are essential elements to continue the elaboration of a “humanitarian crisis” report which consequently makes a military intervention possible. Indeed, one week before the electric sabotage, Secretary of State, Mike Pompeo, asserted that the government of his country will insist with the forceful entry of the “humanitarian aid”, but now incorporating the element of chaos. Later on, with the electrical sabotage, we understood what Mike Pompeo was referring to. Around 5pm on Thursday, March 7, there was a plunge in the essential electricity supply systems in more than 80% of the national territory. The blackout was sudden and general. Luis Motta Dominguez, Minister of Electric Power, informed as soon as possible, the event was an act of sabotage to the main hydroelectric plant in the Guri Dam, Bolivar State, Venezuela. President Maduro, during his first appearance before the country, reported that the attack on the national electric system occurred through three modalities. The first type [was the hacking of] the main computer and control systems. These systems would have been electronically assaulted, “leaving all computer screens black,” said the President. On Monday the 11th, Maduro also indicated that the attacks were made from Houston and Chicago, reaffirming that the U.S. government itself was responsible for the cyber attack. The second was through the use of electromagnetic pulse devices. [These] highly sophisticated devices of electronic warfare were aimed at the transmission systems and the control platform, disabling them—an issue that would induce the system to overload and fail. The third type was physical: [direct attacks on] the intermediate platforms of electric distribution. There were five attacks on four substations, with little time between each one them, almost simultaneously as attempts to stabilize the general electricity supply were being made. 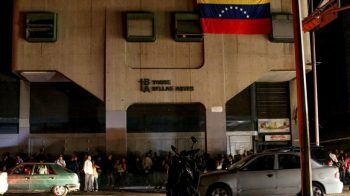 In the midst of the attack, the U.S. magazine Forbes published a note by Kalev Leetaru, stating that it was “very realistic” to affirm that the U.S. government did launch a cyber attack against the Venezuelan power system. The posture from this Forbes author is consistent with what happened in the country. Large-scale sabotage becomes an essential component of the breakdown of the Venezuelan authorities and the population in general. 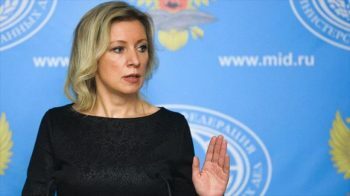 Another confirmation that what happened at the beginning of March was not simply a blackout caused by the lack of maintenance of the electrical system, but effectively behind the interruption of all energy services was a large-scale attack, spokeswoman of the Ministry of Foreign Affairs of Russia, Maria Zajárova, affirmed that the blackout was organized from abroad by people with knowledge of the national electric system. Zajárova also stated that the responsibility for the consequences of the blackout, including the death of people due to the lack of electricity in hospitals, is from those who ordered the attack. During the days of the attack on the Venezuelan electric system, there was a noticeable joy from American officials who have been extremely active and involved in the destabilization of Venezuela: Mike Pompeo, Secretary of State; John Bolton, White House Security Advisor and Marco Rubio, Republican Senator from the State of Florida. Rubio made several “prophecies” of the attack, affirming on Wednesday, March 6, that in the next few hours “the Venezuelan population would suffer a severe shortage of food and gasoline”. This was 48 hours before the attack. 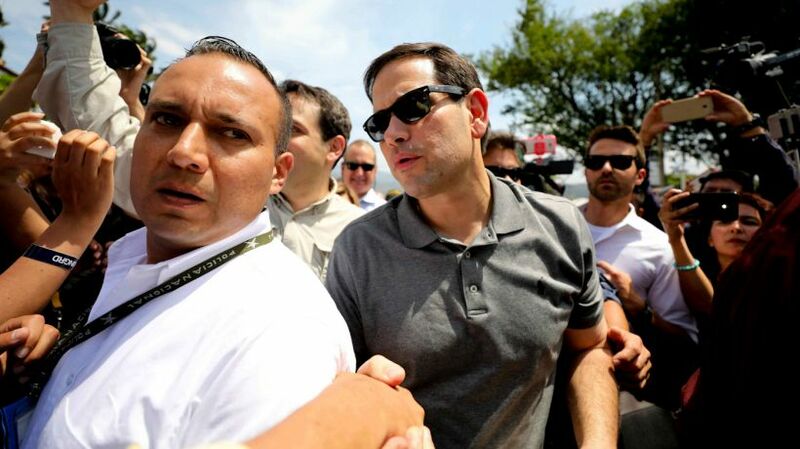 Senator Marco Rubio visited Cúcuta to capitalize politically on the arrival of “humanitarian aid” (Foto: Archive). At midday, March 7, during a hearing in the U.S. Senate ‘Committee on Foreign Relations’, focused on the Venezuelan topic, Senator Marco Rubio warned that the country was “going to enter a period of suffering that no nation has confronted in modern history.” This was said five hours before the electric sabotage which left Venezuela without the power, showing that he had prior knowledge of what was about to happen later that day. 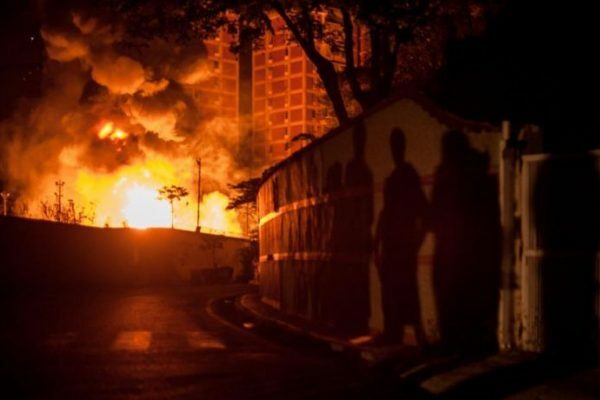 Even before the Minister of Communication, Jorge Rodríguez, informed the media about the scope of the attack on the electric system, Rubio said through his Twitter account that “backup generators have failed”, without hiding his excitement. The critical information that Rubio had at the moment of the attack, in addition to the prophecy of hours before, suggests his connection to the electric attack. On Friday 8th and Saturday 9th, the Senator was dedicated to cheering the blackout scenario and was one of the promoters of the narrative that indicated that the collapse of the electric system was due to the “lack of diligence” from the Venezuelan government. At the same time Juan Guaidó, whom we also consider a U.S. official, but on Venezuelan soil, said through his Twitter account, “the light would return to Venezuela” when the “usurpation is terminated,” in a clear public act of extortion against the Venezuelan population which suffered the attack. Marco Rubio and Juan Guaidó, clearly [pushing] the same narrative, published fake news about alleged newborn casualties at the University Hospital of Maracaibo, Zulia, and other hospitals of the national public health system. At the same time, several NGOs, such as Codevida, made multiple announcements and publications towards the international audience, of unconfirmed events regarding deaths, chaos and loss of public order in the national territory, creating a disproportionate and distorted perception of the events, selling the theme of a supposed “humanitarian crisis “. NGOs such as Codevida and others, responding to Marco Rubio’s guidelines, affirmed that 80 neonates had died along with more than 200 people. This figure was denied by the president of the Medical Association of Zulia, Dianela Parra. Mike Pompeo meanwhile, announced through social media platforms, ”without medicine, without food, now without electricity and soon, without Maduro”, taking advantage of the electrical sabotage to escalate pressures against Maduro. Along the same line as Eliott Abrams , who said in a radio interview that the blackout was an opportunity to continue the ‘regime change’ policies. Meanwhile, John Bolton declared that the Venezuelan military should “accept the amnesty offered by Guaidó”, to help achieve a coup against President Maduro. Again trying to corrupt the integrity of the FANB and promoting rebellion movements inside the Armed entity, which was working towards the stabilization and protection of the national electric system. Foreign media and several political actors publicly aligned against Venezuela, used the situation of the country in those days of darkness, to solidify the argument of a “humanitarian crisis” and a nation submerged “in chaos”. Essential components for an intervention narrative. While dealing with the interference of electricity and several national communication systems, it was evident that misinformation was rampant and many media outlets were dedicated to deceive and to spread U.S. officials statements. The blackout coincided with the end of workday for the majority of the population. Traffic was affected by the non operational traffic lights. In cities with underground public transportation, such as Caracas, Los Teques, Valencia and Maracaibo, overground traffic was overloaded with the population that could not use these systems. Similarly, the inoperativeness of the rail system that connects Valles del Tuy with Caracas, collapsed ground transportations. The blackout interrupted all public services, including ground transportation that was replaced by Metrobus units (Foto: AFP). The telephone communication system was affected and only those who were within reach of radio repeaters with an alternative source of power, could communicate by cell phone. Many people knew, thanks to radio stations, that the blackout was nationwide. Those who own motor vehicles, could use them as a source of power to recharge phones and listen to the radio. The official announcement regarding the sabotage against the Hydroelectric Power Station, El Guri, was diminished by an intense ‘fear mongering’ campaign, especially around health centers. Even though the Government had activated contingency plans since the first night, alongside with police departments, the Bolivarian National Guard, as well with the health system, supervising the activation and operation of electric plants used for this situations, and guaranteeing the supply of water through cistern trucks. For many people, the first night was of shelter and expectation. Friday the 8th began with the official confirmation that the sabotage had been deeply damaging, school and work activities were suspended, news of a gradual and progressive recovery of the electric service was published, starting with the eastern states of the country, communicated through official and extra-official means. On Saturday morning, after a significant recovery of the service, there was a new widespread blackout. Later that same day, it would be known that a new attack against the nation’s power grid was executed. Now adding to the lack of electricity, the impossibility of carrying out essential and important activities, such as the supply of gasoline, food distribution and access to potable drinking water. The supply of gasoline was impaired, relying solely whether a station had a power plant or not, the banking system did not work or was working intermittently, affecting all commercial activities. 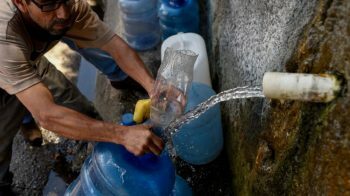 In Caracas, businesses were also affected by not having the appropriate staff and last but not least, the supply of potable water to most areas of the country was undermined by the impossibility of activating pumps without electric supply. Only those communities with water supply sources at higher levels from the ground, could continue to have access to the service. The Venezuelan political opposition led by Juan Guaidó, instead of assuming a collaborative attitude and support to the community to overcome the crisis, took the opportunity to magnify the anxiety and anguish, trying to ignite chaos in the streets, while encouraging violent looting. The cyber attack against Corpoelec’s computerized system at the Guri hydroelectric plant and against the main operational ’brain’ in Caracas, was followed by attacks explained by President Maduro as electromagnetic operations and, simultaneously, a sabotage to other infrastructure which halted and reversed the recovery process, with the intention to make a total collapse irreversible. 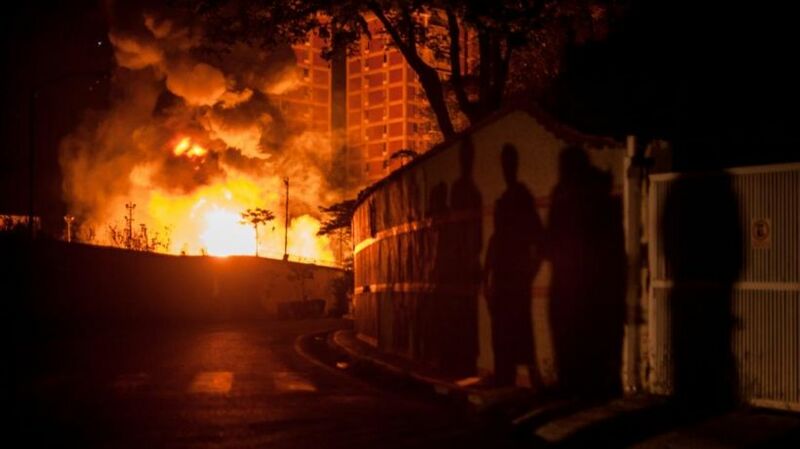 President Nicolás Maduro, made special emphasis on one of the sabotages of this operation: the explosion of the electrical substations in Baruta and El Hatillo, which caused fires in the early hours of Monday morning. 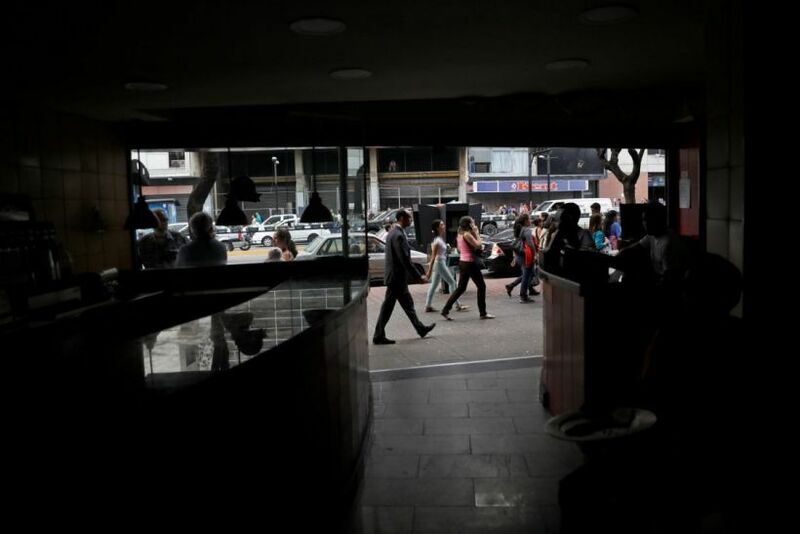 Much of Caracas suffered a power outage again. Explosion of two transformers of the electricity substation of Terrazas of the Club Hipico of Baruta (Foto: Gaby Oráa / RMTF). The Communications Minister, Jorge Rodríguez, added another report about the sabotage to the Tacoa thermoelectric plant located in Vargas. Where the gas that supplies the station was cut off, causing an explosion and preventing its functionality, as a backup element of contingency within the capital. In Venezuela there’s a mixed energy generation system: the hydroelectric power plant that supplies the majority of the country and the thermoelectric power plant. The capital, by having a large concentration of the population, feeds from both sources. Rodriguez explained that if the blackout happened for fortuitous reasons “easily the Greater Caracas could have fed on the Tacoa system”. The immediate consequences [of] the electrical system interruption, were situations of adversity, discomfort in most cases and resilience in many others. Multiple national media such as, El Universal and El Correo del Orinoco, reported through their social media platforms the Capital’s traffic system collapsed, specially because the interruption of electric power occurred during peak hours. 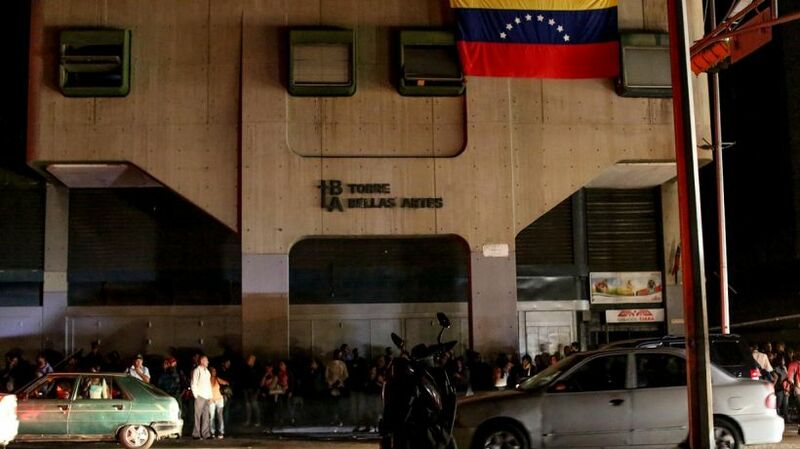 The operations of the Caracas Metro were stopped and the population had to travel by foot or by other means, in order to get home on that Thursday night. The interruption of the electricity system brought down telecommunications and banking platforms (Foto: Reuters). The loss of electricity led to the collapse of the electronic payment platforms and their systems, generating serious complications for consumers throughout the country soon after the blackout. This platform malfunctions would only worsen, as banking institutions saw their backup generating systems also collapse because of the excessive number of transactions made during those hours. Offline points of sale, combined with the deficiencies in cash flow, complicated the purchasing capabilities of the Venezuelan population during the following Friday and Saturday. Sales and perishable goods such as meats and vegetables were also affected. The National Federation of Cattle Management reported a 2 million kg of beef loss during the blackout in slaughterhouses across the nation. In majority of households, families chose to consume these foods as soon as possible. In cities with high temperatures, such as Maracaibo, where the use of air conditioners is common, the discomfort was even greater. The water service was affected in cities and towns that depend on hydraulic pumps for their supply. A huge part of the national territory. A Caracas resident collects water from the Waraira Repano Hill after the blackout that stopped water pumping in the city (Foto: Federico Parra / AFP). There was also a telephone and internet communications interruption throughout the country, circumstantially and intermittently in some cities. The CANTV ABA, Movilnet, Digitel and Movistar servers, which rely on battery powered transmitting antennas, experienced a progressive drop of their signals as the power of their antenna’s ran out. Cable service platforms were also affected, with the exception of satellite platforms such as DirectTv. Many families and businesses with power plants were able to access national and foreign TV services from these satellite signals. In many cities the interruption of open radio and television signals was reported. Many stations don’t have power plants and those who did kept their functionality using their backup generators. Besides being an electric blackout, there was also an information blackout, given that many of the few broadcasters still ON AIR, were just playing music, violating their obligation to keep the population informed about the events under development. The interference in communication systems and the radio-electric spectrum served as an uncertainty and misinformation ‘broth’, especially in the Andean region, overpowering the true reality of the situation. All these components, part of an irregular warfare in process, rumors, false information, distortions and half truths, pushed a noticeable percentage of the population to an anxiety state of mind. In the State of Zulia, violent groups looted deposits belonging to Empresas Polar: beer, soft drinks and other beverages were stolen. Juan Guaidó from his account on the social media platform, Twitter, justified the looting that occurred indicating that “hunger” guided those actions. 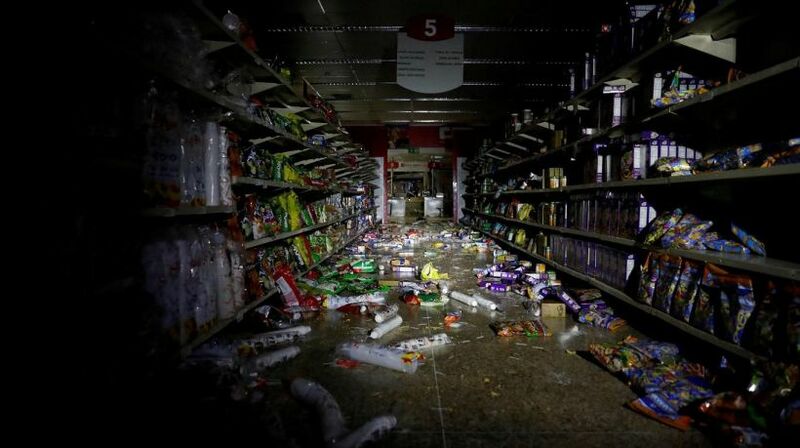 Juan Guaidó’s call for looting generated destruction and violence in shops in the state of Zulia (Foto: Reuters). Many service stations do not have an ‘electric plant’ to support the supply of fuel and this contributed to the collapse in the supply process. Queues for gasoline were seen in places throughout the country and the mobility of the population was seriously affected. Also the distribution of fuel was used mainly to power electric plants. Marco Rubio’s self-fulfilling prophecy of the collapse of gasoline and food distribution, would start to materialize. But the continuity of the PDVSA system of fuel distribution mitigated the impact, and the transportation of people and food was persistently maintained at half throttle. In some cities, violent barricades and road closures were reported, as an immediate response to Guaidó’s calls for looting and the execution of violent acts. Other known figures from the Venezuelan political opposition, tried to provoke reactions among the population and calling their followers to spread the chaos nationwide. This violent component to the narrative, was widely rejected by the great majorities, only manifesting in some urban locations as the perfect scenery for the marketable “nation in chaos” product, exploited by the promoters of the foreign Venezuelan intervention. However, the violence did not prosper as some expected. On the contrary, the blackout made people stay in their homes. Already by Sunday, official announcements of the partial and intermittent restoration of electricity supply in several cities throughout the country, contributed greatly to the calmness and resilience of an immense majority of the population, who were able to manage this critical situation with support from their families, solidarity and shelter. Information was circulating on several cellular platforms and TV networks about the recovery of the electrical system, a nationwide social stability and the noticeable absence of violent elements seeking destabilization. On Monday, President Nicolás Maduro informed the nation about the Bolivarian National Armed Forces actions during the contingency plan, the deployment of its security mechanisms and officially declaring victory over the electric sabotage. The President instructed the military corps to supply fuel to all health center plants in areas that were still affected and underlined the progressive return of communication platforms and other services dependent on the electrical system. From that point, Maduro made it clear, that it was the Bolivarian Government and not other political group, who had effectively use strategic management to assume the task of normalizing all daily activities. A huge setback to the destabilization plans, which were seeking the fragmentation of the country and to forcefully make the population suffer. The ultimate goals were not met, thanks to the fast and precise response to the attacks, key to publicly show the effectiveness and the integral strategic security that exist inside the Bolivarian administration. March 7, Bellas Artes Metro station. Some people tried unsuccessfully to agitate against President Nicolas Maduro (Foto: Rosana Silva). The return to normality in most of the nation’s territory by Tuesday, pointed to the normalization of the electrical system and overcoming its vulnerabilities. The reinstallation and start-up of the electric distribution, was similar to the recovery of the main PDVSA system in 2003 during the oil industry sabotage, but this time, with a greater sense of commitment and a greater level of clarity about the severity of the scenario. 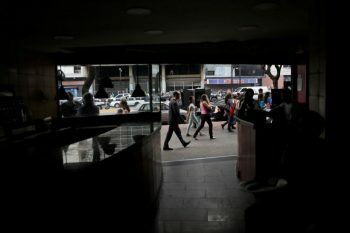 The electric strike defeat, said President Maduro, means today one of the most significant events in the protection of our population, which has been the victim of a foreign large-scale terrorist attack with the intention to undermine our government institutions, our political stability and social cohesion. The magnitude of the electric attack would have resulted in a total collapse of Venezuela and its society, materializing the “failed state” element that international antichavismo evokes constantly to justify direct military aggression. It was thanks to the immediate Government response that the situation was stabilized and was able to overcome and build creative solutions. Throughout the territory, the general consensus was not to be overwhelmed by the anguish and to establish family and community plans to address most of the common needs. Although the Chavismo has shown its experience in organization and resistance spirit, during the blackout, a good part of the opposition followers which usually resonates with calls to violent protests, stayed home, ignoring the summoning to violence. Among neighbors, people used firewood to facilitate the process of food preparation, because the supply of gas was non existent. The scouting of nearby areas to find access to clean water for personal and household usage. Using cars only to make emergency trips and also cell phones and landlines, to communicate with relatives and keep the community informed about the progress with respect to the restoration of the power supply. 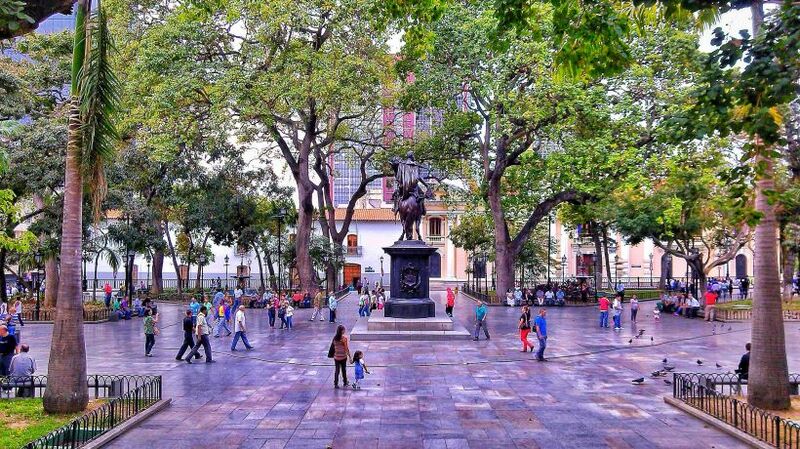 8th of March, Bolivar Square. Women gathered to commemorate women’s day and show support for the government in the face of the sabotage on the electricity system (Foto: Rosana Silva). The previous work of the Committees of Local Supply and Production (CLAP) must be highlighted. In some states the distribution of food and domestic gas continued even with all communications deficiencies. The CLAP program has complete records of the populations they support: number of the population, children and elders, the sick, food, access to drinking water and gas to all the members of each family group. It served as a support to have a map of the strongest and weakest areas, allowing each community to act accordingly. In this way, the Government was able to coordinate with this organization and reduce the harmful effects. Other organized groups accompanied the State with the smaller tasks to sustain the vitality of the most vulnerable to the attacks. One example was what happened at the JM de los Ríos Hospital, where in addition to guaranteeing medical attention to the hospitalized children, they were visited by artists, who effectively provided hours of healthy entertainment in the midst of the uncertainty. The civic-military union was present in the official counterattack. The Minister of Defense, Vladimir Padrino López, highlighted the deployment of different elements of the Bolivarian National Armed Force to both, restore basic services and to protect the Venezuelan population. An extraordinary image left by the electrical sabotage scenario, when in darkness, far from intimidating citizens accustomed to being locked in their homes lit with televisions and computers, served as an opportunity to improvised community activities where children played while adults exchanged alternatives to protect food, share information about medical care locations, commercial options and functional pharmacies. The popular organization, CLAP, was key to meet the pressing needs [created] by the blackout (Foto: Archive). Meetings were essential to scare off the demoralization. Each particular story reveals a behavior of a society that has been shaped by the experience of the Chavismo movement, massive popular participation as the most precious feature of the Venezuelan identity. It was that part of the Venezuelan social fabric, with a modest lifestyle, that gave the example of resistance in the midst of the most prolonged and massive attack of the ongoing war against Venezuela. A strong contrast with the negative solutions from the “entrepreneurship” sector, which chose to privatize services during critical times, images began to circulate through social media: selling ice, water, candles and electricity supply in foreign currency. 72 hours after the attack, the city of Caracas had [restored] energy in most of its neighborhoods and in the following hours, the eastern, central and southern states were also recovered. The western region had delays, extending the power stabilization up to 24 hours more in Táchira, Mérida, Trujillo, Zulia and Lara. Five days after the continuous attacks [upon] multiple substations and the parallel sabotage to the Guri dam, preventing the stabilization of the National Electric System, the entire country had managed to return to its normality. Caracas residents returned to normal after the electricity system was restored (Foto: Archivo). The efforts were focused on sustaining a campaign for the rational use of electrical devices in homes, to support the national recovery process and to restore the potable water service. 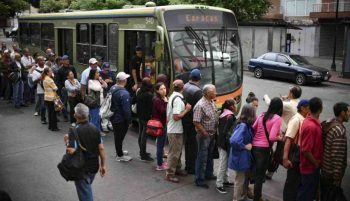 The systems Tuy I, II and III which supply the city of Caracas (with the largest population) were reactivated early Tuesday and supply was normalized on Wednesday. Through social media artificial narratives failed to go viral, where people supposedly were not receiving auxiliary measures, while this was a reality, showing images where people seemed to be collecting water from the Guaire River, which is not suitable for consumption. A report made by the Catia TV team, debunked this false story. In fact, cistern trucks were set up to transport potable water to communities, mechanism made possible by communities organized in communal councils. Internally, people were not victims of inaction, they coordinated between neighbors to access sources of clean water and to supply their homes by using buckets and wheelbarrows. Although the exhaustion of those days manifested in the whole body, all social programs resumed their normal course once the communications were fully operational. 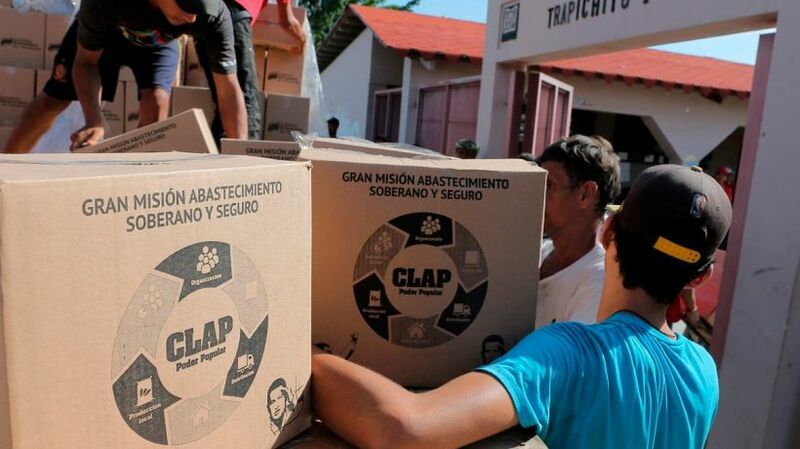 The food assistance policy of the CLAPs was reinforced by orders of President Nicolás Maduro, in order to block the attempts to deepened the injuries resulted from the electric shock. The calls for looting did not have the expected response. On the contrary, on Monday the distribution of the CLAP service had been reactivated. At a national security level, popular intelligence strategic bodies were activated to dismantle groups of individuals who tried to transfer the blame of the electrical sabotage to the National Government, organizing violent protests and forceful closure of public streets to further complicate an already complex situation. Before this, Freddy Bernal, called to activate contingency plans to put an end to these attempts to disrupt public order. On the other hand, the FANB announced the activation of the military exercises “Ana Karina Rote”, for the protection of the Venezuelan people and strategic public services of the Nation, to be executed on Saturday and Sunday. Refining the integral defense of the power and water generating systems, foreseeing possible sequel attacks from this international agenda against Venezuela. The corporate/business class admitted the ‘regime change’ plan they support, caused them big economic losses. The National Federation of Cattle Ranchers of Venezuela (Fedenaga) stated $1.4 million were lost during this ‘anti-political’ agenda. 1 million kilograms of cheese and 900,000 kilograms of meat were decomposed due to lack of appropriate refrigeration. Another 6 million liters of milk were damaged while waiting for the electric power restitution. The firm Ecoanalítica stated that the losses for the country were $875 million, approximately $100 million of damage per day, which reduced the gross domestic product by 1%. Commercial establishments were also the target of vandalism, especially in the state of Zulia and, to a lesser degree, in Lara, Monagas, Miranda and Barinas. While the political opposition’s agenda was to whitewash these criminal acts, parading them internationally as consequences of the social crisis triggered by the blackout, the national security forces were also in charge of protecting small businesses. Long hours of intensive effort from the majority of the Venezuelan population, together with the authorities, consolidated an effective response. One week after the attack, the public and private labor, trade, production and industrial activities (typical of a stable country) have been resumed. In the streets, you can still feel the footprints from the people who overcame the induced crisis and the engraved collective memory of how to act during similar scenarios to those experienced by countries submerged in military conflicts, without bombings.